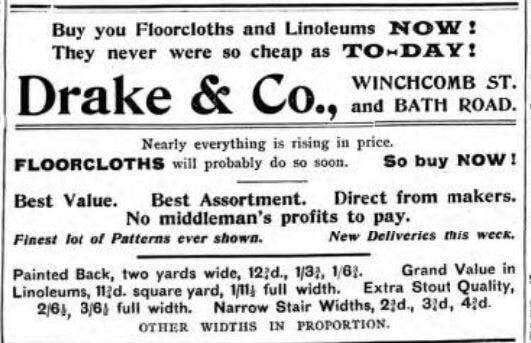 From about 1880 this shop, which incorporated the one next door at 186 Bath Road, was owned by Thomas Giles Smith. In 1896 he applied for a licence to sell spirits and liqueurs off the premises but in 1898 a large quantity of drink and food was stolen from the shop. Photo courtesy of Steve Lawrey. ​Sadly in 1901 Mr Smith, described as a Grocer and Provision Dealer and Wine and Spirit Merchant, was declared bankrupt. 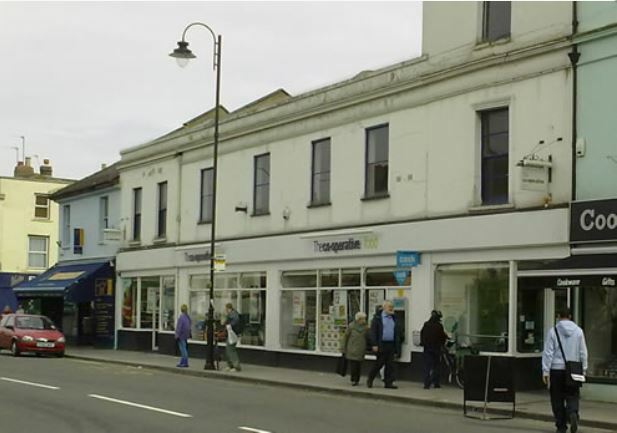 However he seems to have continued in business at 2 Bath Road, trading as T.G. Smith and Son, until at least 1917. One of his servants, grocers assistant Samuel Clarke, bought the building when it was put up for auction in 1902 and this may have provided Mr Smith with an opportunity to stay in business. ​The premises consisted of a large double fronted shop comprising an office and a small shop with a frontage to Exmouth Street. It had an ‘L’ shaped ground floor which included a bakery and two storerooms. There was also stabling for two horses in the yard with an entrance into Exmouth Street. The residential accommodation consisted of a kitchen with a range and a pantry, three sitting rooms, five bedrooms and a fitted bathroom and WC. It was quite a desirable property, especially as it had gas, electric light and Corporation water services and a full grocers’ licence enabling the sale of alcohol. No 2 Upper Bath Road didn’t, however, make it to auction as it was sold privately beforehand to Mr Clarke for the sum of £1750. This price included the fixtures. ​The shopkeepers licence remained with Thomas Smith until during the Great War, when Mr R.W.Payne took over. Mr Smith subsequently moved to Newent, where he died in 1922. In 1923 the store was bought by J Burton and Sons Ltd. Burtons was a very high class grocers’ and had a long polished wood counter, brass scales and a separate off licence. A member of staff took orders from local people and the order was delivered by Mr Davis by horse and cart. His assistant was Chubb Jewell one of whose tasks was to check the horses over before they left for delivery. Burtons used to deliver as far away as Birdlip. J Burton traded here for around 50 years. 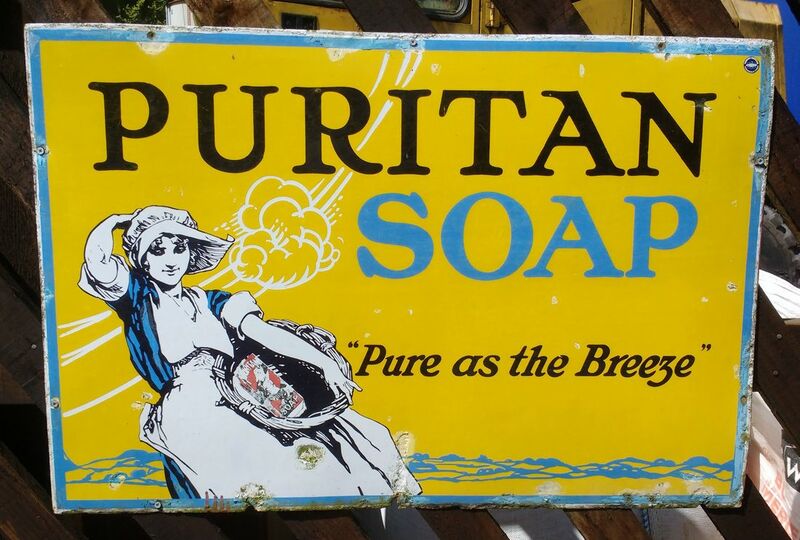 By 1973 after more than 100 years as a grocer's shop it became the business of Mr J. Pomfret an antiques dealer. 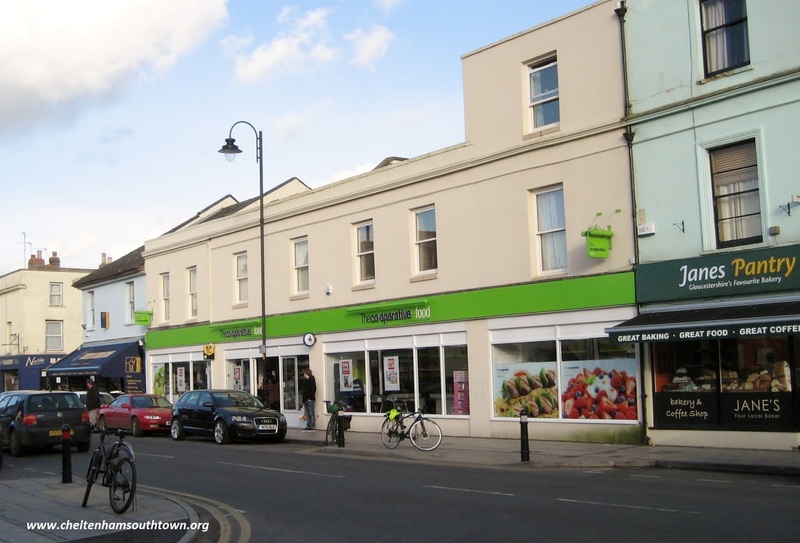 By the end of the 20th century the shop was back to being a grocer's, being one of the four adjoining shops occupied by the Co-operative Society. By the 1920’s the shop was occupied by the Star Tea Company Limited, an inexpensive grocery store based in London, who had been at 5 Upper Bath Road since about 1908. By the start of World War 2 the Co-operative Society had moved from their position on the corner of Clare Street to this shop and the adjoining one (2 Upper Bath Road) for their new, improved store. Since the middle of the nineteenth century, these premises were the home and business of bootmaker John Caudle. John was married to Mary and they had two sons, Frederick and Henry. Both sons were also shoemakers and the family business continued after Johns death in 1901, until the late 1930’s. This shop was bought by the Co-Operative Society at the same time as 3 Upper Bath Road. A stationer Josiah Perrin was here from 1870 for several years. Josiah was born in Gloucestershire around 1830. He lived here in 1881 with his wife and his seven children, whose ages ranged from 9 to 24 years. These premises started the 20th century as the Waterloo Dining Rooms, presumably after nearby Waterloo Terrace. 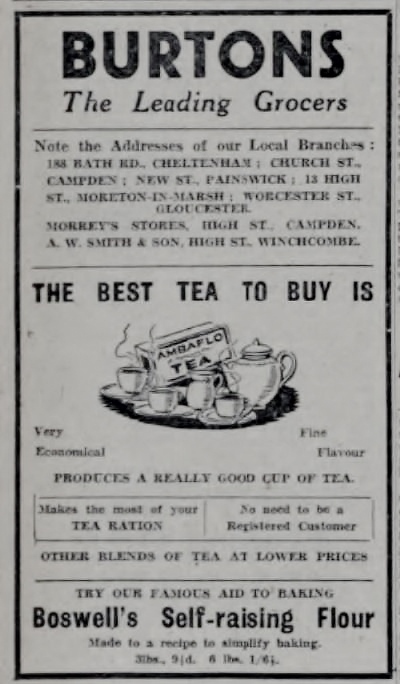 By 1908 this was the business of tea and coffee merchants, Star Supply Stores. During the mid 1920’s, Midlands born Miss Jessie Munting, moved to Cheltenham and used these premises as her refreshment rooms. By 1928 her widowed sister and her family had joined her. Jessie’s nephew Arthur used to help by running errands, whilst another of her nieces helped out in the cafe. Jessie’s Cafe only served the very best cold meats and cakes. Jessie married late in life and retired from the shop. It was then taken over by another sister, Rose and her husband Arthur Owen who had previously had a shop in Gloucester. 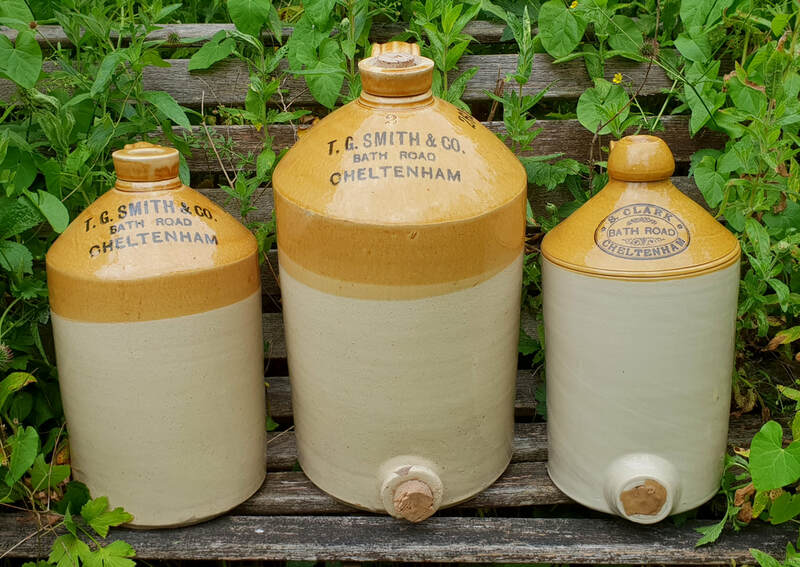 They remained in Bath Road until the start of the 2nd World War when Mrs M Wylde took over and traded as a confectioner until the Co-Operative Society acquired this property. See the Local Memories page for this property. The Co-op before its refurbishment in 2012.